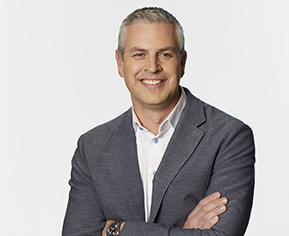 Mike Parker has spent his 20-year career acting as a partner to major brands and helping them transform into digital marketing leaders. Parker currently leads global digital agency iCrossing, with a team of 900 across 12 global offices. In his role as Global President, he has partnered closely with major marketers like Bridgestone and Toyota to deliver digital transformation and marketing programs to help them adapt to the new customer-driven, digital and modern world we operate in. Parker joined iCrossing in 2015 and previously oversaw its west coast and US territories before taking over responsibilities for the global operations in 2017. Since joining iCrossing, he’s contributed to iCrossing’s double-digit growth year-over-year. He also oversaw a 60 percent growth in iCrossing’s Amazon/E-commerce offering from 2016 to 2017. Under his leadership, Parker has launched "The Collaboratory," a new innovation practice for iCrossing, opened a new office in Seattle, championed diversity and inclusiveness initiatives, and added new clients like Sargento Foods, Bayer and L’Oreal, while expanding important existing relationships like Bridgestone, Microsoft and Charles Schwab. Prior to iCrossing, Parker served as Global Chief Digital Officer of McCann Worldgroup. There, he spearheaded the agency’s global relationship with Nestle, helping the world’s largest food company drive digital transformation across its marketing programs and helping launch their "Silicon Valley Innovation Outpost" as a vehicle to bring new ideas and partnerships to the company’s brands. While at McCann, Parker developed and introduced "Pxl," a global digital learning and inspiration program designed to help further drive the transformation of this historic agency brand. He also spent twelve years within the DDB network, first in 2000, helping to launch Tribal DDB in Canada, opening offices in Vancouver and Toronto and serving as a member of Tribal’s global leadership team. He returned to Tribal DDB in 2009 to serve as Co-President US. In between, from 2007 to 2009, Mike served as Head of Digital Strategy at Goodby Silverstein.